This wide and opened main entrance design in Barrie makes the entry feel inviting and clear. 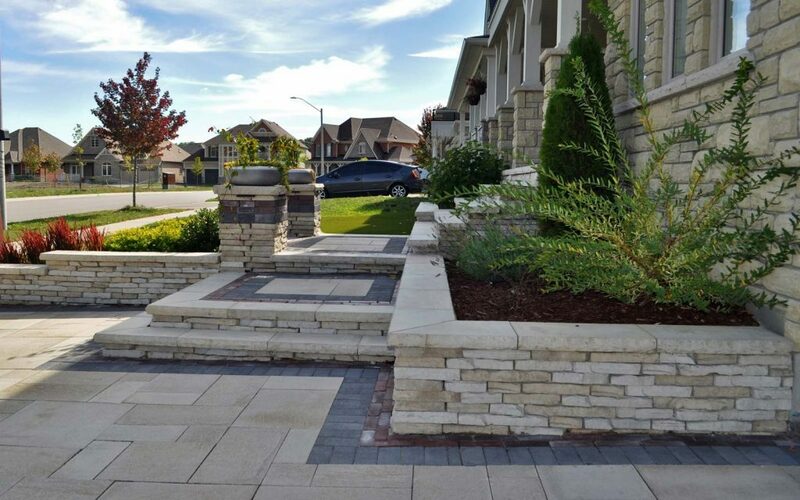 A beautiful entryway will greatly enhance your home’s curb appeal and provide a way for you and guests to get to your front door.Original asphalt driveway was widened and paved with interlock pavers that match architecture and finishes of the house. 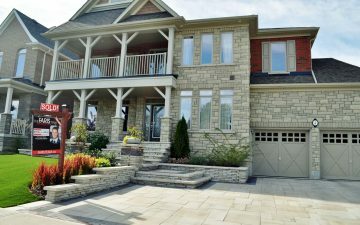 Retaining walls, nice landings and steps as well as accent pillars with colourful seasonal planting creates a unique character of the house. 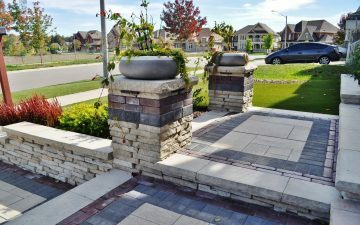 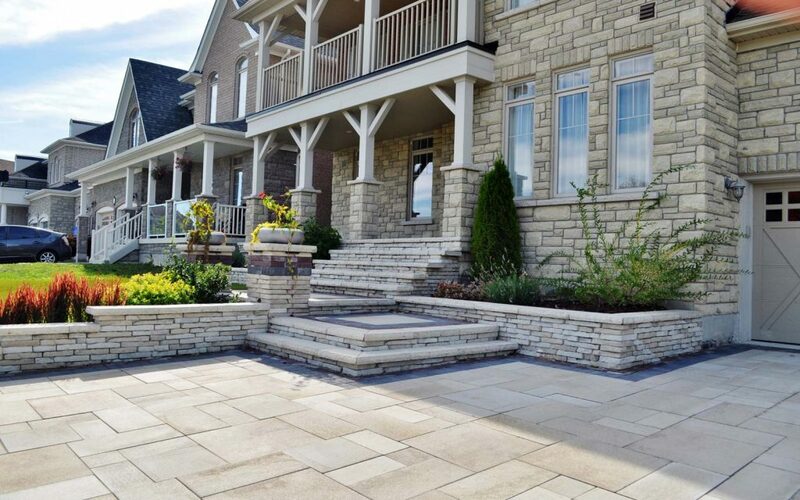 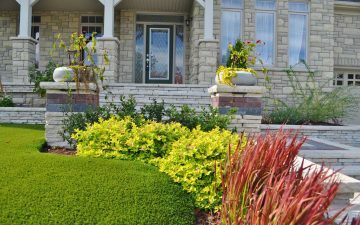 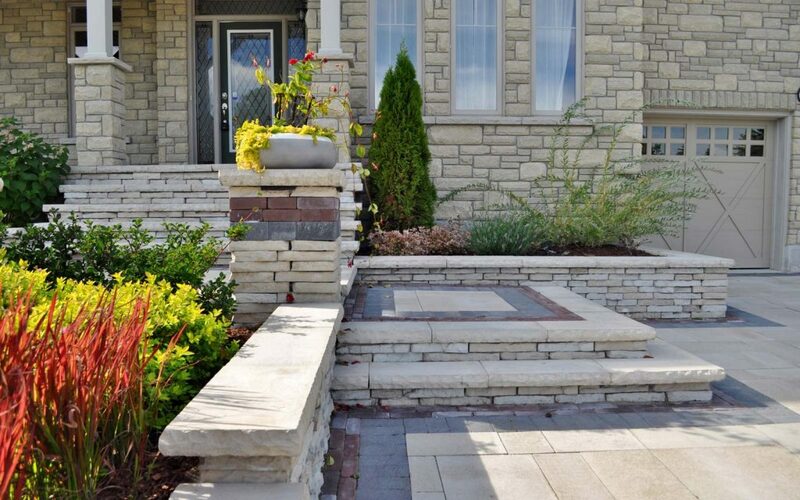 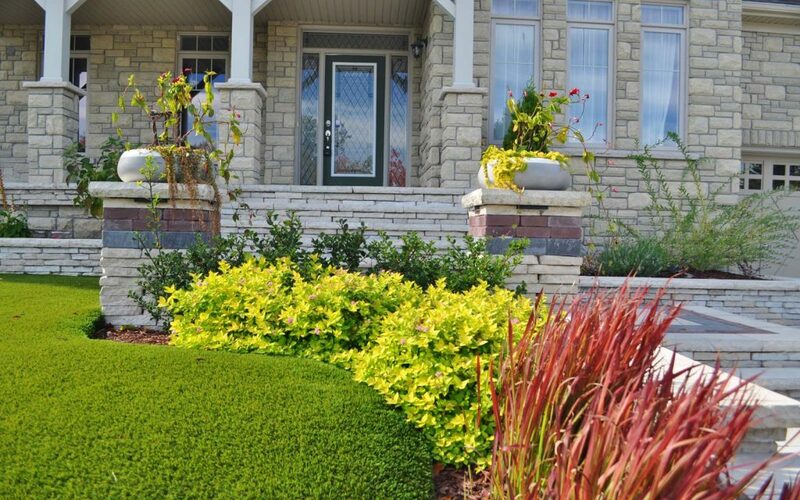 Whether you yearn for a sanctuary, an entertainment area or curb appeal, express your personal style - and MVK Landscape Design will offer you low-maintenance, eco-friendly, professionally designed outdoor space solutions tailored to your needs.